Filesystems are responsible for organizing how data is stored and recovered. One way or another, with time, filesystem may become corrupted and certain parts of it may not be accessible. If your filesystem develops such inconsistency it is recommend to verify its integrity. This can be completed via system utility called fsck (file system consistency check). This check can be done automatically during boot time or ran manually. In this article, we are going to review the fsck utility and its usage to help you repair disk errors. The system fails to boot. Files on the system become corrupt (often you may see input/output error). Attached drive (including flash drives/SD cards) is not working as expected. -A – Used for checking all filesystems. The list is taken from /etc/fstab. -C – Show progress bar. -l – Locks the device to guarantee no other program will try to use the partition during the check. -M – Do not check mounted filesystems. -N – Only show what would be done – no actual changes are made. -P – If you want to check filesystems in parallel, including root. -R – Do not check root filesystem. This is useful only with ‘-A‘. -r – Provide statistics for each device that is being checked. -T – Does not show the title. -t – Exclusively specify the filesystem types to be checked. Types can be comma separated list. -V – Provide description what is being done. In order to run fsck, you will need to ensure that the partition you are going to check is not mounted. For the purpose of this article, I will use my second drive /dev/sdb mounted in /mnt. Here is what happens if I try to run fsck when the partition is mounted. To avoid this unmount the partition using. Then fsck can be safely ran with. The -y flag, automatically “yes” to any prompts from fsck to correct an error. We will review both situations. Then you can simply force or schedule a reboot of your system. During the next bootup, the fsck will be performed. If downtime is critical, it is recommended to plan this carefully, since if there are many used inodes on your system, fsck may take some extra time. If it does, you may want to remove it in order to avoid fsck on every system boot. Running fsck in rescue mode requires few more steps. First prepare your system for reboot. Stop any critical services like MySQL/MariaDB etc and then type. 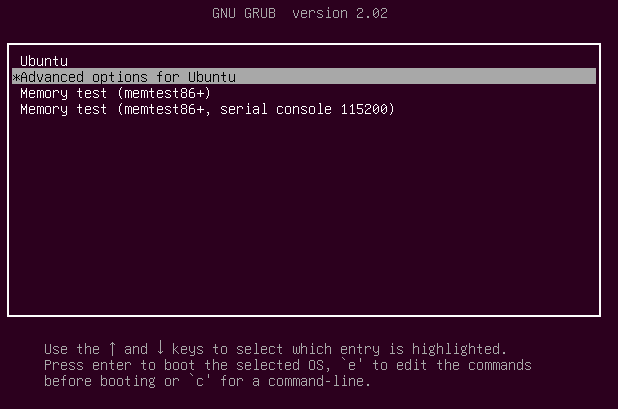 During the boot, hold down the shift key so that the grub menu is shown. Select the “Advanced options”. In the next menu select “fsck”. You will be asked if you wish to have your / filesystem remounted. Select “yes”. You can then resume to normal boot, by selecting “Resume”. In this tutorial you learned how to use fsck and run consistency checks on different Linux filesystem. If you have any questions about fsck, please do not hesitate to submit them in the comment section below. I tried it from the recovery mode and I get to the screen to switch to read/write and click yes, then it says dev/sda1 is mounted and takes me back to recovery menu. I have a VPS CentOS 7, If following this tutorial, will i lose my data on vps ? What version of Ubuntu does this article relate to? People like me are still using 16.04 because of all of 18.04’s problems and I don’t see the graphic just below the line, “You can then resume to normal boot, by selecting “Resume”. Is that GUI ONLY in 18.04? My PC is not showing 64 bit while I try to install it. What to do please help me..
Classic Ubuntu user arrogance, to equate Ubuntu with all of Linux in the headline, then list *Ubuntu-specific recovery-mode options as if they were universal. 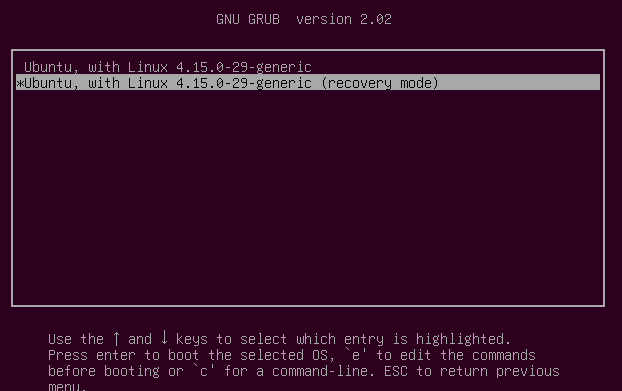 Just about every “recovery mode” I’ve ever seen, even under GRUB 2, is a command line prompt with very limited options. Well the first half of the article is universal, at least. Your question is not clear, could you elaborate more..
@Eric, if you have an issue with a windows partition, it would be better to use chkdsk windows utility. In Linux, there is fsck.ntfs which is a symlink to ntfsfix. ntfsfix is a utility that fixes some common NTFS problems. ntfsfix is NOT a Linux version of chkdsk. It only repairs some fundamental NTFS inconsistencies, resets the NTFS journal file and schedules an NTFS consistency check for the first boot into Windows. If you have the ntfs4g binaries installed, fsck can evaluate and even fix said partitions; that said, Windows specific tools, such as CHKDSK are (for once) less destructive and get better results if you’re trying to preserve as much data as possible.